John Deere, now synonymous with tractors and agricultural equipment, was a 19th century blacksmith. His father sailed for England to claim an inheritance when Deere was eight years old, and was never heard from again. At fifteen years of age Deere went to work for a tanner, and at 17 he was apprenticed to a blacksmith. After several years of training, he opened a series of his own smithing ventures, all of which failed, until he came to Grand Detour, Illinois in 1837. In Illinois his shop thrived, especially after his invention of the self-scouring plow, an improved, polished-steel implement better suited than a standard plow for turning the area's sticky, stubborn soil. In 1848 he moved the company to Moline, IL, for better access to the railroad and water-power for his equipment. As the American Civil War approached he was a staunch opponent of slavery, and in 1873 he was elected Mayor of Moline. Deere had been dead for more than twenty years when his company first began manufacturing motorized plows -- tractors -- in 1918. Apprenticed to a blacksmith at age 17, Deere set up his own smithy trade four years later and, for 12 years, did work in various towns of his native Vermont. In 1837, when 33 years old, he headed west and eventually settled in Grand Detour, Ill., where he set up a blacksmith's shop, and sent for his wife and children the following year. He joined in a partnership with Major Leonard Andrus. In his work, Deere found, through the frequent repairs that he had to make, that the wood and cast-iron plow, used in the eastern United States from the 1820s, was not suited to the heavy, sticky soils of the prairies. He began experimenting, and by 1838 he and his partner had sold three newly fashioned plows. He kept experimenting, producing 10 improved plows in 1839 and 40 new plows in 1840. By 1846 the annual output was about a thousand plows. Deciding that Grand Detour was not well situated in regard to transportation and resources, Deere sold his interest in the shop to Andrus in 1847 and moved to Moline, Ill. There he began using imported English steel with great success and soon negotiated with Pittsburgh manufacturers for the development of comparable steel plate. By 1857 Deere's annual output of plows had risen to 10,000. In 1858 Deere took his son Charles into partnership and in 1863 his son-in-law, Stephen H. Velie; in 1868 the firm was incorporated as Deere & Company. 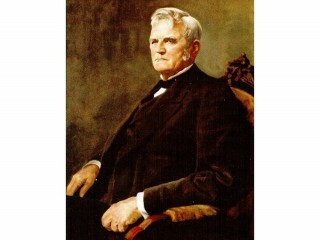 Deere remained president of the company for the rest of his life. Gradually Deere & Company began manufacturing cultivators and other agricultural implements. View the full website biography of John Deere.